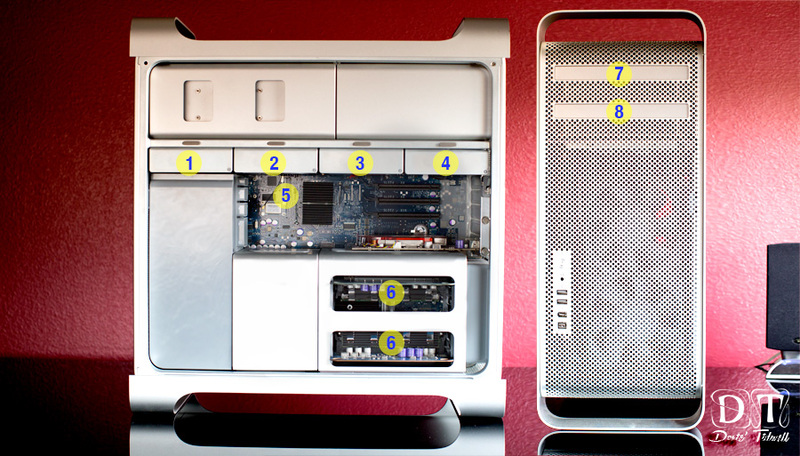 Part II of the Digital Darkroom series The MacPro. I saved up for months to get this. Back in 2008 and it never gave me a problem it’s still super quiet and really fast. How many PC users can say that? I really like the size and the specs of the new MacPro. So I might be upgrading sometime in late 2014. 1) 500gb main hard drive. Always with the latest OSX from apple. 2) 2tb hard drive that holds the iPhoto Lightroom library. 4) 2tb hard drive. partitioned to hold videos on one and Time Machine on the other. Time Machine strickly backs up the main hard drive. 4) *not shown* an external drive that is strictly a back up for 2 and 3.